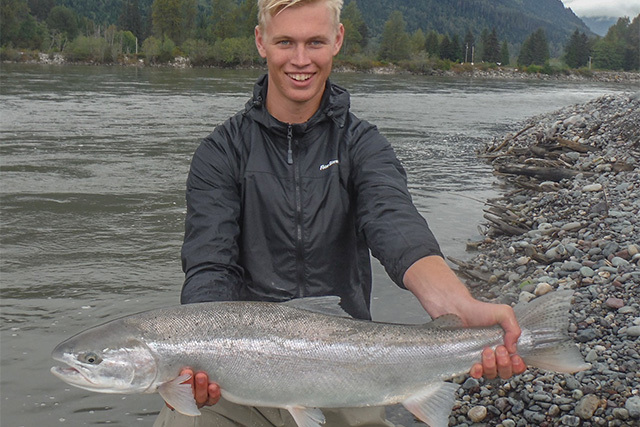 Theo and his father Aiden enjoyed a great weeks fly fishing for fresh run, fighting fit, Steelhead and Coho Salmon on the Skeena River and its tributaries. 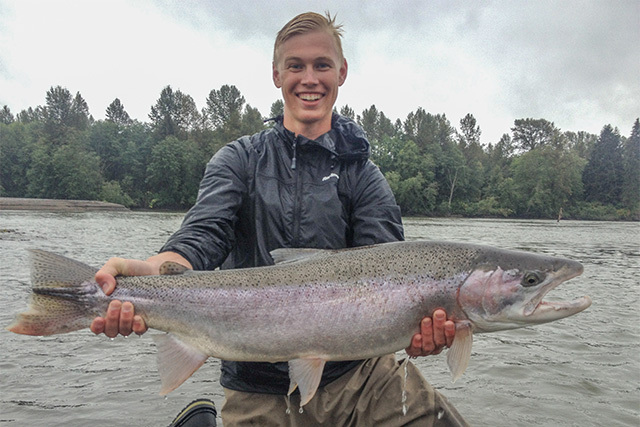 August and September are prime months with the best steelhead weighing in at just under 20 pounds. 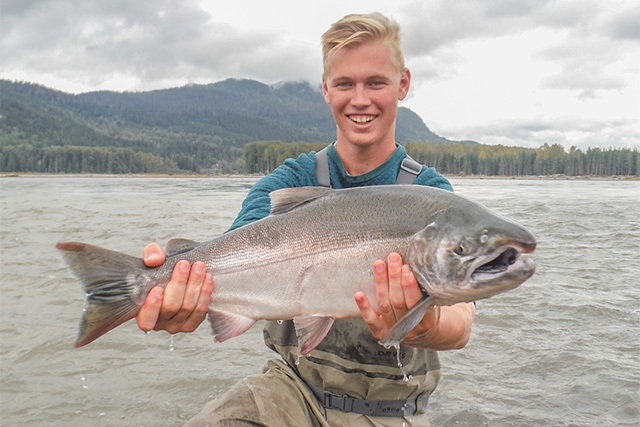 Theo and Aiden stayed at the superb Kalum River Lodge and top owner guide Andrew Rushton knows all the best fishing beats to guarantee a fabulous weeks fishing in pristine surroundings. Limited weeks available for 2017. Call us on 01246 221717. 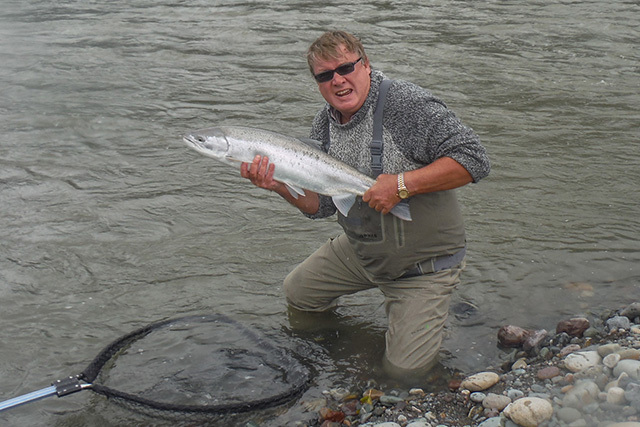 This entry was posted in Canada, Uncategorized by anglersworldinfo. Bookmark the permalink.